Imagine a world where everyone knows what’s going on in your life. OK, maybe not everyone, but all the important people. Those you love and cherish and care about and who care about you. Now imagine that even though everyone was extremely busy, at their jobs, raising families, on their Facebook, MySpace or blog, or just trying to find a few moments for personal and group enjoyment, they somehow found the time each week or even once a month a month to spend time with you. Helping you with little things like washing a dish or emptying a trash can, but mostly they spent time listening. Listening to your hopes and dreams of the future or memories of hopes and dreams joyously realized or sadly unfulfilled. Imagine now, that they occasionally brought pet food for your cat or dog. That they played with them because you no longer could due to illness, disability or simply old age. Imagine they even took you pet for a check up to your favorite vet and that they promised to either care for the pet themselves or find them a “good home” should anything ever happen to you. That’s how we imagine the world when everyone becomes educated and caring. Utopia? Maybe, but the Animal Kingdom Foundation of Compassion, Care, and Concern (AKFCCC), believes it’s important to move individually and collectively in the right direction, even if there is no hope for ever reaching the goal in our lifetime. 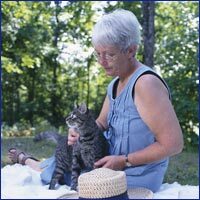 AKFCCC is dedicated to providing compassionate care to both humans and animals, especially to the elderly, disabled and terminally ill and their pets. Communities are nothing more than groups of people connected by bloodline, geography, common experience or common interest. It’s the individual members of a community that define the group’s values either through their actions or inaction. AKFCCC invites you and your fellow community members (however many communities you count yourself a member of) to contact us and learn more about how you might participate in creating a world where people care passionately about the welfare of one another and about the animals entrusted into our care. There are many ways to show you care and to add life and vitality into your community. Take a pet to visit a long term care facility or a kindergarten or grade school. 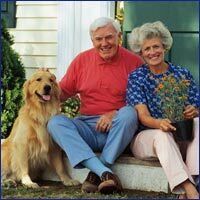 Visit a senior neighbor and offer to help them with some of the activities associated with caring for their pet. Host an awareness party, a book club or a movie night where the topic is how animals make a difference in our lives and how we can make a real difference in theirs. We don’t promise that any of this will be easy, but we will promise that it will be an adventure and that somewhere along the way you will certainly find that you are enjoying yourself even as you are transforming the world. If you work on transforming yourself, you are helping to transform your family. If you help transform your family, you are helping to transform your community. If you are helping to transform your community, you are helping to transform the world. Let us begin!